Larimar & Sterling Silver Crab Stud Earrings Only $19.99! 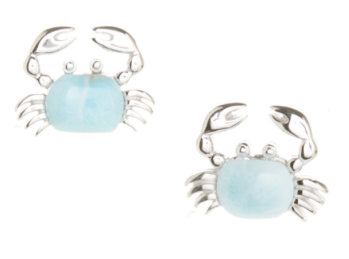 You are here: Home / Great Deals / Larimar & Sterling Silver Crab Stud Earrings Only $19.99! It must be obvious that I am a beach nut! I’m drawn to anything cute and beachy. Like these Laramar & Sterling Silver Crab Stud Earrings! Get these cute little guys for only $19.99! Grab this and other hot deals every day at Zulily!